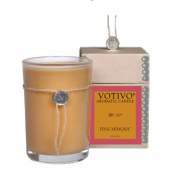 Votivo aromatic candles in Teak transform your home into your very own paradise island. Get swept away every time you light one of Votivo's hand poured scented candles. 50 hr. burn time. Fills my home will an excellcent teak aroma which is very calming/ I reccommend this to everyone. 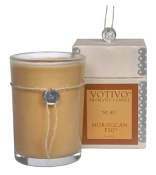 Just started burning this one...it has a very nice scent...masculine and feminine, yling, ylang. Very nice! And the fragrance lasts! These are the best candles ever. The long lasting scent fills your home!!! Accentuates the wood cabintery in your home! 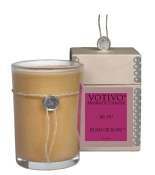 Votivo makes the greatest candles in the world. And Teak is their best scent. You wont be disappointed with this one! This fragrance is quite heavy. Very masculine and a little too much for my taste. If you like a very deep, musky fragrance then you will like this. I ordered it in an attempt to find a comparable scent to the MOST fantastic, but sadly discontinued scent called Desert. Q: Do you still carry the incense in this fragrance? 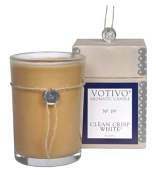 A: The Votivo Incense was discontinued in Sept. 2013. 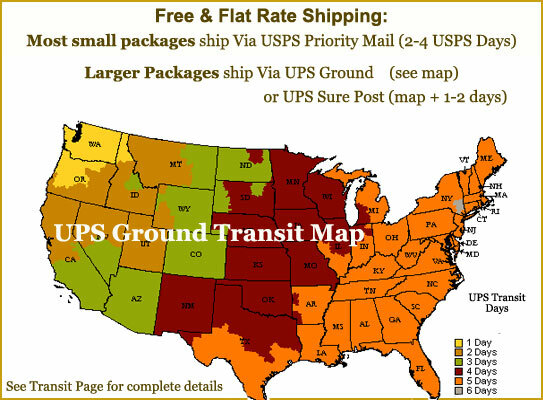 Stock should be available through October or November of 2013.